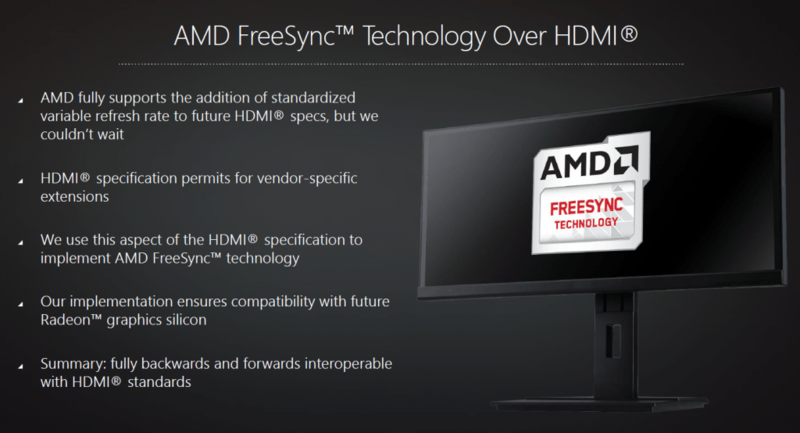 AMD has very recently announced that FreeSync will work over HDMI in 2016. The FreeSync technology is currently only supported via DisplayPort, and AMD will now begin supporting the technology over HDMI 1.4a from early 2016. NVIDIA’s own screen-tear eliminating technology, G-SYNC, is currently only available via DisplayPort and NVIDIA has not announced any plans for HDMI support. Although there are G-SYNC gaming monitors with HDMI ports and all FreeSync gaming monitors have two inputs or more, the variable refresh rate technologies only works via DisplayPort right now, but that is about to change to AMD’s case. A variable refresh rate spec for HDMI is coming already, but AMD decided not to wait and will begin supporting it earlier with their extension. One important thing to note is that FreeSync over HDMI will not magically work with a software update or anything like that. 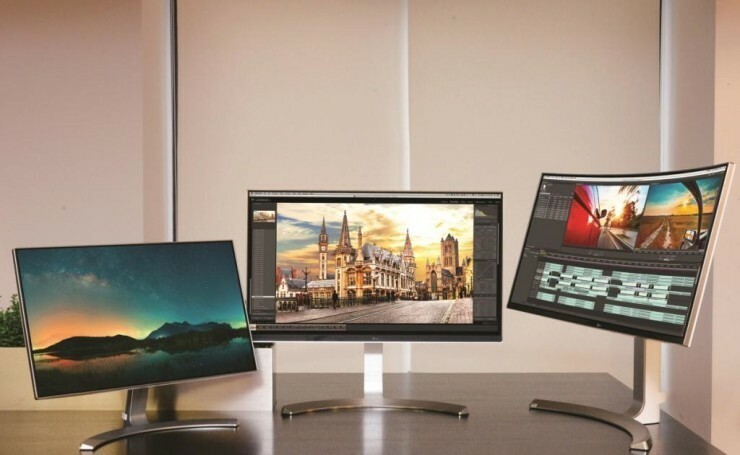 The monitor has to be FreeSync over HDMI-compatible as well and AMD is already working with monitor manufacturers, including Acer, LG and Samsung, to kickstart the production of these displays. Some upcoming FreeSync monitors that are FreeSync HDMI-compatible were also announced, which can be seen in the table below. As it can be seen in the table, a majority of these monitors are from Samsung with some from LG and a single one from Acer as well. No details on refresh rate and panel type were given but will be announced closer to release. The graphics card has to be compatible too. 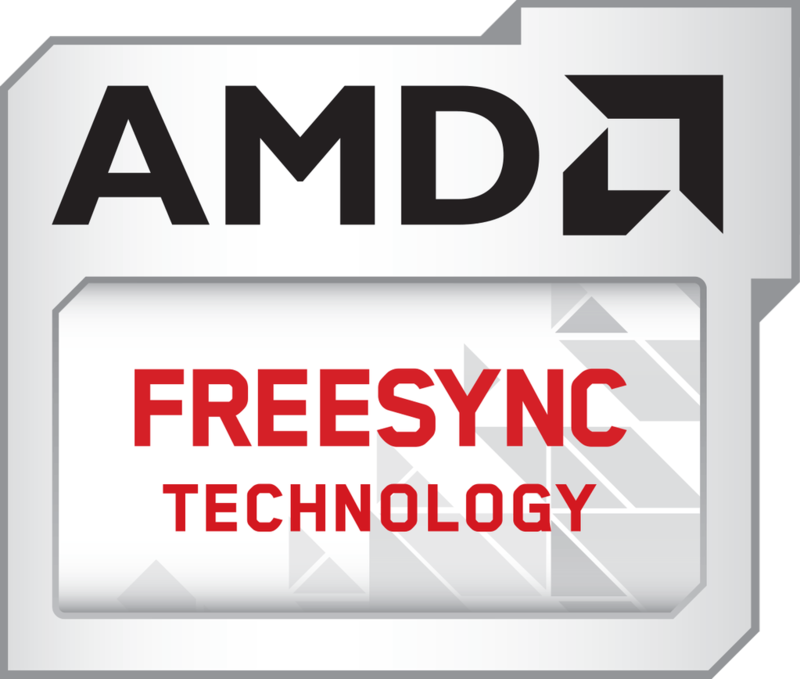 If you have an AMD Radeon GPU that has HDMI 1.2 or above, you’re in luck and can use FreeSync over HDMI if you have a compatible FreeSync over HDMI monitor. Laptops are now also beginning to support FreeSync, with the announcement of the Lenovo Y700, now that there are already a bunch of G-SYNC laptops out there. A little while ago, AMD also released the AMD Radeon Crimson Software, which solved the complaints of image judder on a majority of FreeSync monitors when the frame rate fell below the minimum supported FreeSync refresh rate. Monitors have evolved a lot in a relatively short amount of time and it will be interesting to see how it will develop further down the line. Merry Christmas James – keep up the good work!